Residents have been mostly respectful and keep their comments and posts about the neighborhood. Some just give the facts or ask simple questions-- Others definitely "over share". 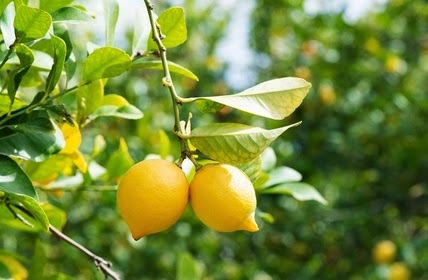 A neighbor posted that squirrels were eating all the lemons off her tree and wanted to know if anyone had an easy solution that had worked for them. From her post question, I got the impression she was looking for safe and sane solutions. But that's not the response she got. Turns out, peeps in our 'hood are very passionate about their fruit trees! And they really don't like squirrels-- Any squirrels! Not. At. All. One guy talked about the wolf urine he buys online and sprays on all his fruit to scare the squirrels away. Another talked about having tried a hot pepper concoction that was only successful at killing her trees. And another actually takes the time to rubber band all her fruit to the branches while it ripens making it more difficult for critters to carry off. A prominent member of our community went on and on that all she has to do is feed the squirrels plenty of peanuts every single day and they stay away from her fruit trees. I yiyi-- That was met with screams and pleads to stop feeding wildlife complete with links to county ordinances to prove it's against the law. There is a long time resident (whose profile includes his photo and complete address.) who simply traps and drowns the squirrels claiming it's the very most humane thing to do. His comment was easily 300 words long and explained-- in great detail, the ins and outs of his reasoning. This comment was met with barely a response! Good lord, you'd think the squirrels were carrying away small children, not lemons! Within 24 hours there were about 30 comments to the simple question of "how to stop squirrels from eating lemons off trees" with many neighbors feeling compelled to comment for the first time ever. But then... One comment in particular, well.... that's when things really went sour. A middle-aged guy (I know because his comments came with his full name, photo and full address)-- let's call him Bozo, bragged that he didn't notice any "bare fruit trees" because he takes daily walks in our area and "has lunch" by picking fruit off other people's trees along the way-- several pieces in fact-- and thinks there's nothing wrong with going into people's yards scavenging because "there's enough fruit for people and the squirrels". That made me wonder if he poached and dined on the fruit with the wolf urine sprayed on it. To add insult to injury, Bozo went on to brag that he and a buddy drive around in a swank BMW and gather shopping bags full of a variety of fruit from people's yards... in the dark of night. And the you know what hit the fan. The community site blew up with comments. Apparently, we have some crazy squirrels in these parts who not only eat lemons (and figs, oranges, avocados, apples, pears and plums), they also chew their way through cable wires, security screens and the likes. Folks mostly just want the squirrels to go away. But they really, really want Bozo to go away. And by "away" I mean-- Behind bars in an orange jumpsuit (Orange--no pun intended)! More than 100 comments later and people are still livid that Bozo sees no problem with stealing fruit from people's yards. Great debate has gone on and he's justified his actions on the site at least 6 times with no apologizes. Even people who don't have fruit trees are going ballistic. Folks have politely, and not so politely, explained to Bozo that homeowners pay a high price for watering, pruning and maintaining their trees. And the trees are on private property. Bozo doesn't have a leg to stand on or any right to be taking people's fruit from their yards. To be honest, I have not gotten into the great squirrel debate with my neighbors but as a result, I've changed my settings to only include police reports on our community website. Some may say I'd be more passionate about this issue if the squirrels were a problem for me but, at least for now, they are not. Other than thinking trapping and drowning squirrels is hateful, I just can't get on this bandwagon. To read all the banter and drama about the fruit thief and see only a few comments about the squirrel-drowner has left me not really feeling very neighborly. Summer has flown by! I hope to be back on a more regular basis. Incredible what a simple request triggered. What are the chances that Bozo is actually just making all this up just for the fun of watching everyone work themselves into a frenzy? Geesh. If Bozo's info is out there, no doubt someone will simply report him. I would like to see someone report the squirrel killer to the police and/or humane society though. That's just sick. My last home was a townhouse and previous owners of my place and the one next door were good friends and so they put a gate on the fence between their places. The people who later bought the place next door ended renting it out and we had a similar issue with our own Bozo.. or Boozo, actually who very proudly proclaimed that he would walk into my yard at night and cut lilacs from our tree so that his kid could give them to his mother.. every night for about a week. I honestly didn't know what to say to that. He was so proud to tell me this and especially since I admitted that I hadn't even noticed. Thankfully lilacs only happen for a short time and he lost interest in coming into my back yard at night after that. And he moved away before the next spring. It takes all kinds, eh? I always say that squirrels are rodents with good PR. However in your neighborhood, they should be scared to death, no pun intended. Man alive, who would think to trap and drown the poor little guys. I'm not for feeding them but what some folks are doing is awful. And the guy with the wolf urine, really, that is so gross that I have no words. I think your neighborhood needs to take some valium and realize that there is probably plenty of fruit to feed them and the squirrels and the nut job who steals from his neighbors, yikes what a fool to admit it. Hugs!! Ever heard the old joke . . . What's the difference between a BMW driver and a porcupine? With a porcupine the pricks are on the outside! nice to hear from you Joanna! Squirrels will be squirrels may the best 'man' win! Seems that the squirrels were innocent all along. What a great laugh! Bozo does make the squirrels look rather harmless, just pesky. They're eating to stay alive. Bozo? Because he can. Not for long, I think. Pretty soon everyone will be using wolf urine and bye bye Bozo! Yes, there is one in every crowd and usually several in every neighborhood. Looks like your neighborhood has its share. Someone should set a Bozo trap. I realize drowning a trapped Bozo would be wrong but maybe just a dip in the ocean would be ok. So glad to see a post from you! I worried about you with all the fires and floods, etc. Glad you're still with us! I would have to try to trapped that Bozo!! I can't believe it's against the law to feed the critters. Wow. I fight the yard men for my plums myself. Giggled when he bit into a raw Persimmons to eat. Serves him right. Bozo, is stealing and should be reported. I wonder if Bozo is just having a bit of fun with everyone! Aren't people strange? We have a local history FB page and some of the insane comments on there make me wonder what kind of city I live in. I'm heading the "Let's get BOZO posse!" I really hope Bozo is just jerking everyone's chains for fun. What is worse? Neighborhood squirrels or neighborhood nuts? Hi JJ...wow the nerve of someone walking on someone else's property to take fruit...no respect! Whether there is plenty is not the point it's called trespassing! It would serve Bozo right if someone put up a little wire that gave him a shock when he crossed it. That might make him think twice. How rude! Things get pretty heated on our community site, as well. Sometimes I love to just sit back and read the comments! You never know what'll get people riled up, but the second it gets too outrageous, they just delete the whole thread. It's very heavily moderated by a guy who's obsessed with supporting the businesses in town (getting free stuff because he's the moderator and will promote local businesses, in other words). Oh my goodness that is hysterical. I was thinking what a great idea the site was until I started reading more. Mmmm perhaps we should resort to the old fashioned communication with neighbours where we don't know so much about them. wonderfully written post, as always. Wish you were my neighbour! PS You would wonder whether Bozo is affected in some way by the wolf urine. Fancy even coming out and telling people what he does. Sheesh... idiots are everywhere. Trapping and drowning squirrels? Is that against the law? And Bozo? What a tacky, entitled little creep!! The wolf urine had me snorting with laughter. Oh how I do hope that Bozo enjoyed some of the fruit flavored with coyote urine. Seriously, people are crazy!